If there is one particular ability that all singers would want to develop, it is definitely the skill to sing on key.It is very important to identify each and every note – all the sharps and flats – in the major and minor scales. However, this is easier said than done because you need to practice listening to all the notes in each scale so that you will be able to develop perfect or, at the very most, near perfect pitch. Another important skill that you need to develop in line with singing on key is being able to “hear” your own voice. Because of anatomical factors which are a bit complicated to explain in this article, there is a big difference between the way you perceive your voice as you are singing to how you hear your voice when it is recorded on a cassette recorder and played. You have probably been surprised to discover that your recorded voice is too far off from how you thought it sounded when you are actually singing. This particular scenario becomes even more distressing if you discover that you are actually singing off key because you are practically tone deaf.Thankfully, you can be able to train yourself to sing on key. To help you achieve this goal, all you will need is a piano and a recorder. First of all, practice singing your scales together with the piano. As you do this, try to remember how each note sounds. Next, try to sing the notes of the scales without piano accompaniment. Make sure that you record your voice. By recording your voice, you will be able to detect the specific notes wherein you sang off key. Go back to practicing singing the notes until you get them on key perfectly. The next step is to do the same procedure but, this time, while singing a song. If you have the patience for it, record yourself singing each line of the song with the piano. Afterwards, sing without the accompanying instrument while recording. Again, make the necessary corrections in the notes that you have sung off key.Again, you need to practice a lot of patience. It is only through constant repetition and practice that you will be able to identify each note and sing them right on pitch. 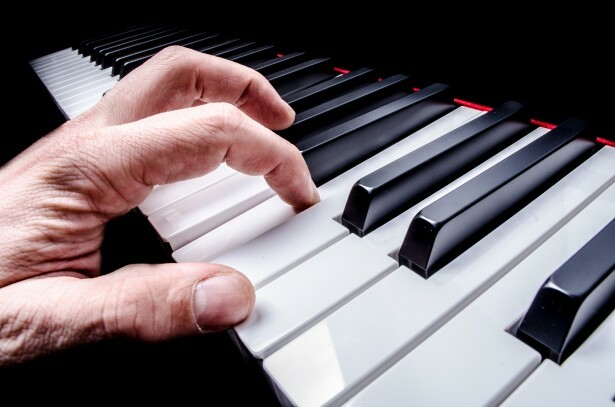 Another advantage to this exercise is that the more you will develop confidence in your singing because you are reassured that you are hitting the correct keys. You will soon notice that you have achieved perfect or near perfect pitch in no time. Was searching online and found your site. Just wanted to leave you a thumbs up for the tips. They are golden. At last! Someone who unddestanrs! Thanks for posting! The exsertipe shines through. Thanks for taking the time to answer. I would like to ask for your advice..When i sing with my guitar all by myself i think i sound very good. And then when i sing to my friends they say that im not really in key. I get really sad about this and think i should go to some singing lessons, but dont have the money to do it at the moment. What do you think 🙂 ? This is way more helpful than anityhng else I’ve looked at.